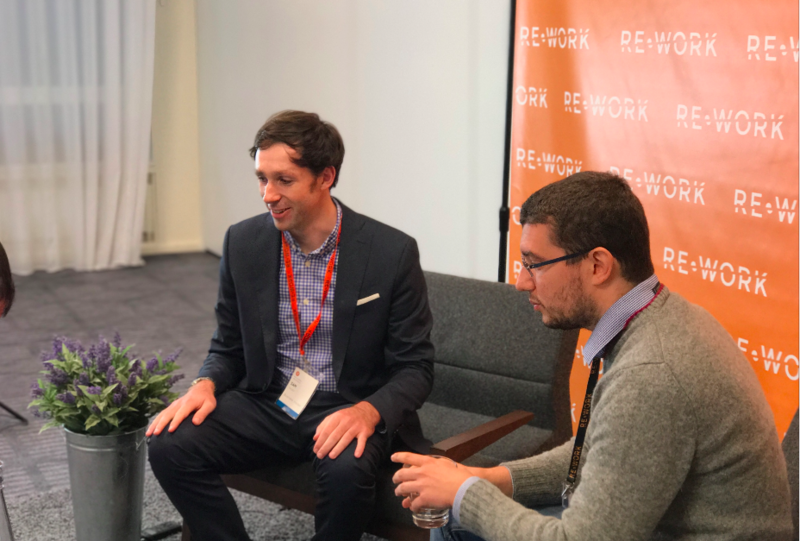 RE•WORK | Blog - Facebook, Amazon, DeepMind & More - what did you miss at the DL summit? 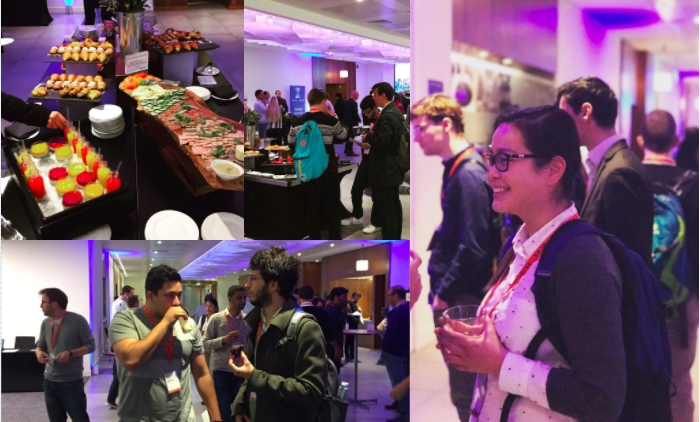 Facebook, Amazon, DeepMind & More - what did you miss at the DL summit? Coffee: check. Pastry: check. Experts from globally leading AI and Deep Learning projects: check. Yesterday morning we kicked off the Deep Learning Summit and AI Assistant Summit with Fabrizio Silvestri from Facebook and Nikola Mrksic from Cambridge University giving us an introduction to the busy and diverse schedule of the two days. I managed to give my colleague a lazy eye even though he doesn’t have a lazy eye, but I managed to find the data to alter that - it’s the way of letting data to imagine something based on what you already know that’s important to drive these progressions. Continuing the discussion and focusing on the importance of NLP was Vijay Ramakrishnan from Mindmeld. He shared his work in deep learning techniques for named entity recognition from an enterprise perspective, whilst Yariv Adan from Google Assistant explained how the age of personal assistants is very young and still has a long way to go. Although it feels like these products are super advanced and complex today, they’re in their early stages. Look at how far we’ve come so quickly, “mobile first changed our world in less than 10 years. In the next 10 years, we will skip to a world where AI is put first”. With brains full, and stomach’s empty, a lunch break was in order. Check out our Instagram and Twitter to see what we got up to and hear what our attendees and speakers had to say about the morning. As well as hearing from industry and research experts, the RE•WORK team have been busy behind the scenes interviewing speakers for exclusive talks and fireside chats on our Video Hub, as well as recording exciting new episode for our podcast, Women in AI. Elena Kockhina from University of Amsterdam, who discussed her work in debunking false news stories and rumours in social media spoke with our podcast host, Yaz, about the challenges in identifying falsehoods and how she’s using Machine Learning to overcome this. She explained the difficulty of automating the flagging of rumours. Elena told us how Twitter only provides the opportunity for a tweet to have one sentiment label, it says that ‘a classification task of emotional polarity (on each tweet) is split into either positive, negative, or neutral - a tweet can only express one sentiment because it's short'. This isn't true, and Elena shows us examples of how multiple sentiments are crammed into a short sentence and discusses how to overcome this. Subscribe to the brand new Women in AI Podcast to hear Elena’s episode amongst others. Back in the presentation rooms we heard from Adi Chhabra, Senior Product Manager - Artificial Intelligence at Vodafone who explained how ‘chatbots are awesome!’ and are hugely improving the customer service capabilities of their company. There are so many queries from bills, to data usage, to new phones - chatbots are the answer, however with the model they’re currently using, if you fall outside the categories that the bot understands, customer satisfaction isn’t achieved - Adi explained how they’re working to overcome this with their deep learning model. The conversation of personality and psychologically aware AI continued throughout the afternoon covering topics such as emotional AI and ethics, trusting AI devices, as well as end to end testing for virtual assistants. 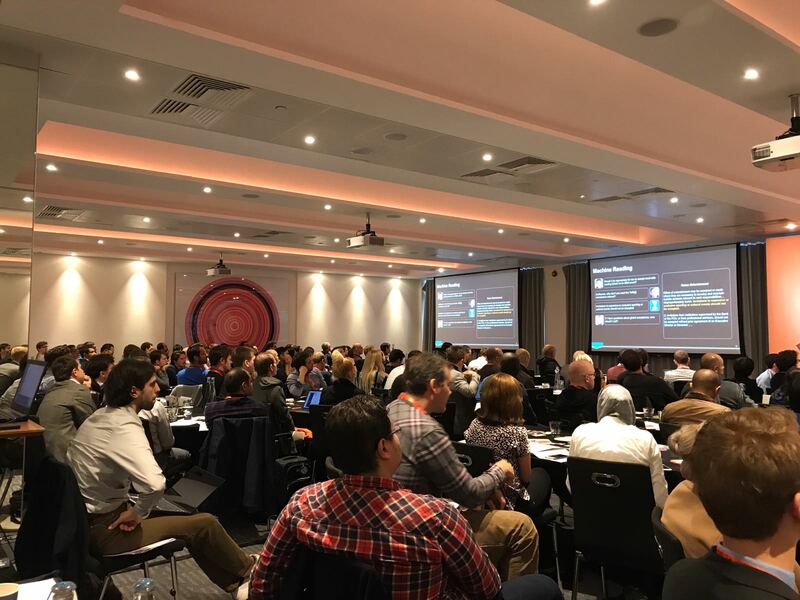 ‏ @digi_ad Talking #emotionalAI, responsible innovation, digital assistants, citizens & ethics at #reworkAI today. Can it serve rather than exploit? Whilst we were engaged in discussions, the team were busy recording more interviews, and Sam Shead from Business Insider spoke with Davide from Facebook about his most recent work and progressions in feep learning. We wrapped up the day with some exciting discussions about deep learning in space with Digital Globe revealing how they are planning to sweep the whole globe once every 20 minutes and analyse it with deep learning. The end of the day saw attendees, speakers, and team members coming together for the Deep Learning Dinner in County Hall where we enjoyed an evening of networking, a champagne reception, and a three course meal and wine - a great end to the day! We heard about some amazing technological advancements and groundbreaking progressions yesterday, and are incredibly excited tfor what we have to hear today from more AI and DL experts. Think of AI not as experts, but as interns. You can have millions, but you have to teach them to cooperate and learn team building.